re:3D had a #HurricaneStrong year in 2017 – our Houston team was hit by Harvey and our team in Puerto Rico withstood Hurricane Irma and Hurricane Maria. June 1st marks the official beginning of hurricane season in Puerto Rico and we want to open a global challenge to create a 3D printed solution to have “fast furniture” available if we undergo another hurricane. Hurricane Maria destroyed over 70,000 homes in Puerto Rico – and the furniture in it. Our team in Puerto Rico had boots on the ground and was exploring using 3D printing for recovery efforts and one of the number one asks from the community was 3D printing solutions for destroyed furniture. 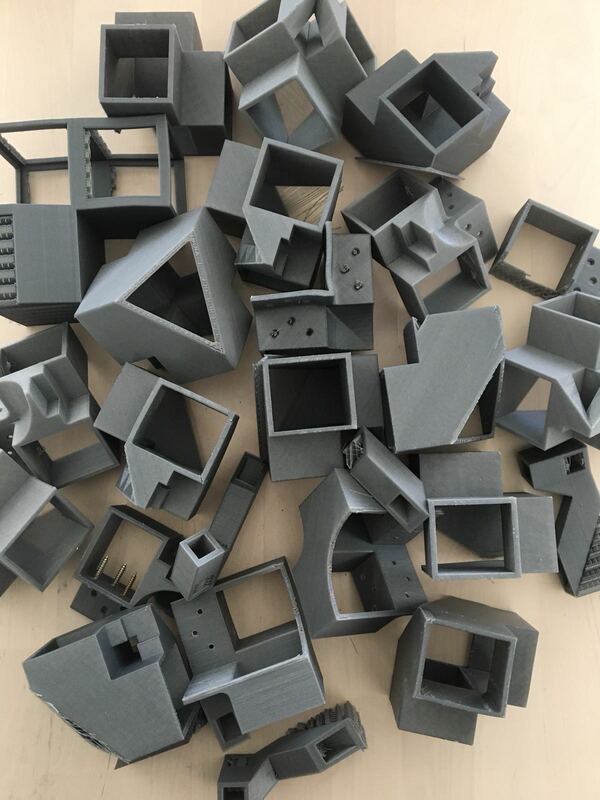 So our teammate Alessandra set on a mission to create 3D printed furniture joints that could be made as quickly and cheaply as possible to then quickly assemble basic furniture that can withstand 150 pounds using pre-cut wood from Home Depot. Needless to say, this is not a simple task – but we believe in solving complex problems and as a community-driven organization, we’re opening up this up challenge to the global community in hopes of identifying a solution to be prepared for this year’s hurricane season. Goal: Create modular 3D printed joints in PLA that can effortlessly be assembled into a 36”x36” table with pre-cut wood from Home Depot under 1 hour. Application: Open application for any person or groups worldwide. 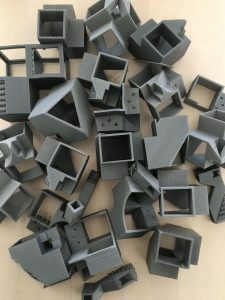 3D joints must take less than 48 hours to print and cost under $20 to print. Watertight STL files submitted to info@re3d.org with a digital 24”x36” presentation board with visual content (renders, drawings, assembly steps…) explaining your design. re:3D will identify the top 3 table joint designs to be printed on Gigabot and assembled using wood sourced from Home Depot. The design that can bear the most load after assembly will be deemed the winner. .stl quality: watertight, containing little to no errors. Ability to 3D print joints without supports. 3D printing creates objects with layers which is also their weak point: 3D prints tend to break along the layers just as wood breaks along the fiber direction. Submit any questions you have on the 3D Printing Fast Furniture thread in the re:3D Community forum!